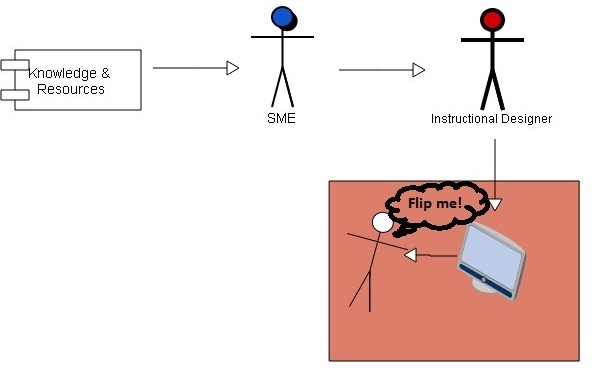 Flipped classroom and Instructional Design: Flip me! My workplace’s primary historical purpose was to improve, support, and supplement classroom teaching. And while Education Northwest’s scope has expanded over the years, there are thankfully still many very smart people steeped in the world of education and scholastic excellence. My background, as you know if you’ve read this blog before, is in Instructional Design (ID) and e-learning, especially for adult workers (i.e., training). This is both a challenge and opportunity. On a day-to-day level, it means learning each other’s terms, nomenclature, and assumptions, so we are speaking a common language when we talk about projects and solutions. Interaction is essential for class room learning. e (terrific) trend toward “flipped” classrooms, where teachers spend most of the class time coaching hands-on activities while allowing students to watch the “lecture” online, suggesting that this was a step closer to what I do. Yes, a challenge and an opportunity. While watching lectures, TED talks, videos, and other infotainment is all well and good, it is in fact not what we IDs and e-learning designers do. 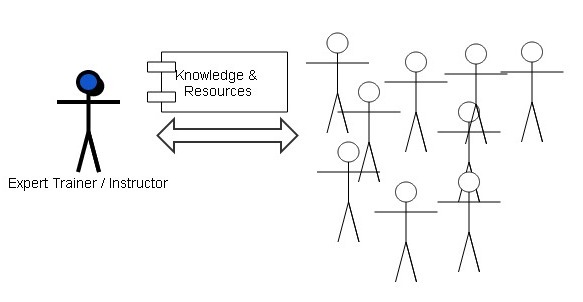 When instructors or trainers stand in front of learners, whether to lecture or to train, they have an immediate feedback loop: The learners are engaged, bored, eager, confused, frustrated, etc. Through conversation, application, and exercises, the instructor has an immediate way to judge success and failure. It is a true two-way give-and-take, and good trainers (and teachers) thrive in that environment. An ID’s job is to design something to surprise, delight, and exceed those dreary expectations. How can we replace that human classroom experience with a learning experience that engages learners and, in its most elevated form, allows them to transfer the knowledge and skills to their work performance? That is our starting point. Creating that design is part science and part art. It requires a deep understanding of the topic, and then combines it with the science of how people learn, how they might apply what they’ve learned to real life, and what kind of activities convert a screen watcher into an immersive participant in his own learning. That’s what e-learning specialists do. Anyone with modest proficiency can tape a lecture or throw slide sets online and call it learning. At best, it’s an interesting invitation that might lead to learning: The flip in the flipped classroom is where the magic happens. E-learning delivers the flip, not (just) the lecture.